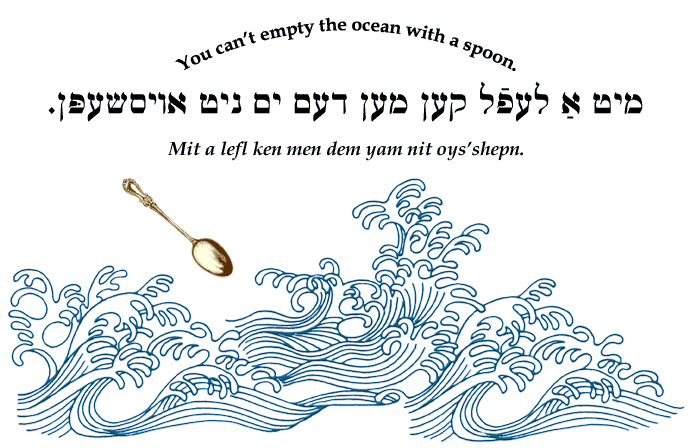 Yiddish Wit: You can't empty the ocean with a spoon. Mit a lefl ken men dem yam nit oys'shepn. You can't empty the ocean with a spoon. You can't outrun the moon.